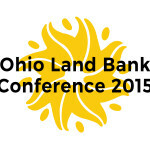 The conference will offer over 25 breakout sessions covering topics of concerns to land banks throughout Ohio. In addition, mobile workshops will be offered Tuesday afternoon and Wednesday morning allowing participants to witness urban revitalization projects first hand. Presenters will include legal and financial experts, land bank practitioners with hands on experience and community organizations that work to move projects from concept to reality. 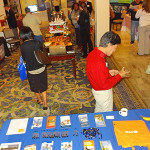 Exhibition tables are available throughout the conference for a cost of $500. A 6-foot draped table will be provided.